With just a day to go before the biggest clay court event in the world kicks-off at the Stade Roland Garros in Paris, there are some major questions that need to be answered as the world’s elite players try to wrestle it out for ultimate glory at the second Grand Slam title of the year. Novak Djokovic is perched at the top of the ATP rankings since July 2014 and goes into the French Open as the top contender. With a phenomenal start to the season, he is definitely the man to beat. Rafael Nadal, the 5-time defending champion, has not been at his usual best and is struggling to find the form that saw him win 9 out of the last 10 French open titles. Roger Federer will try to bounce back from an embarrassing defeat at the hands of Andreas Seppi at his last Grand Slam outing in Australia. Andy Murray’s recent successes on clay have made him the dark-horse for the event and he will be trying to build momentum in Paris before the grass-court season. Tomas Berdych and Kei Nishikori have made steady starts to the season and it seems like they are ready to break into Grand Slam Champions. Can the young brigade of Nick Kyrgios, Dominic Thiem & Thanasi Kokkinakis step it up this year? Here are just some of the questions that will be answered at the Second Grand Slam tournament of 2015. 1. Will Novak Djokovic finally shake the monkey off his back? Novak Djokovic enters Roland Garros 2015 after an outstanding start to his season. He finds himself in a similar situation like 2011 when he entered Roland Garros as the Aussie Open Champion and winner of 4 Masters 1000 titles. The pressure is on the World No.1 to finally add the Coupe des Mousquetaires to his already impressive resume. With a possible win in Paris, Djokovic will probably try to put up the greatest calendar season in Tennis History. Baring no injuries, he could end up winning the Calendar Grand Slam along with winning 8 Masters 1000 (skipped Madrid) and the ATP World Tour Finals. Apart from this he could also be the Davis Cup Champion with Serbia at the end of the season. However, he may have to face the five-time reigning champion as early as the quarter-finals, and it could spell doom for the Serb as he is 0-6 against Spaniard in Roland Garros losing once in the QFs, thrice in SFs and twice in the finals (2012 & 2014). With Rafa Nadal not at this perennial best, the pressure is on Novak to finally win in Paris and join the elite group of players with Career Grand Slam. 2. 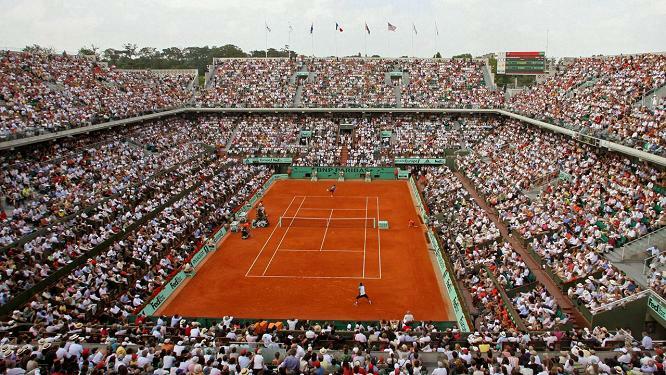 Will Rafael Nadal turn up and prove everybody wrong with an Unprecedented Tenth Roland Garros Title? Nine-time champion Nadal will have his lowest ever seeding at a Grand Slam tournament, with his unusually poor European clay court swing, during which he failed to capture any of Monte Carlo, Madrid, Barcelona or Rome for the first time since 2004, seeing him drop to seventh in the world rankings. It could be a worrying sign that his invincibility on clay could be coming to an end, however the French Open should still continue to bring the best out of the Spaniard. He has only ever lost once at the tournament since debuting in 2005 holding a 66-1 overall record. Even last year, when Nadal was world number one, the Spaniard was not considered the outright favourite to win. That tag went to Novak Djokovic, who beat him in the Rome Masters final and had also ended his eight-year stranglehold at the Monte Carlo Masters in 2013. But still, Nadal proved too good for Djokovic in the final by way of a four-set victory, despite losing the first set in a championship match for the first time since 2006 against Roger Federer. Despite failing to fire in 2015, the nine-time French Open champion will be out to prove that he is anything but a spent force and claim an unprecedented tenth title at Roland Garros. Or will his mass achievements finally start to catch up with him? 3. Can Roger Federer come back strong at Grand Slam events? Roger Federer has had a good start to the season in 2015. With titles in Brisbane, Dubai &Istanbul and finals in Indian Wells and Rome, he is still playing at a very high level. But his loss at the hands of Italian Andreas Seppi in Melbourne earlier this year has more or less ended his consistency at Grand Slam level which at once was impenetrable. Roger’s performance at Roland Garros has declined over the years. He was a finalist from 2006-2008 before completing his Career Grand Slam in 2009 beating Robin Soderling in the Finals. In 2011 he ended Djokovic’s 43 match unbeaten streak in one of the best matches of his career before surrendering to Nadal once again in the finals. Since then he has lost one round earlier each year with SF in 2012, QF in 2013 and 4R last year to Ernests Gulbis. A Strong performance in Paris could lay foundation for an 8th Wimbledon title and a 6th US open crown. PREDICTION – Finals (loses to Djokovic in 4 sets); the match against Monfils could be a classic with the Parisian crowd cheering for Gael. 4. Can Andy Murray continue his recent success on clay? Andy Murray has been undefeated this season on clay (10-0) winning in Munich and demolishing Rafa in Madrid. He became the first Briton since Buster Mottram in 1976 to win a tour level clay court event. He had to withdraw from Rome due to tiredness and fatigue but is expected to come back strong in Paris. The performances against Milos Raonic, Kei Nishikori and Rafael Nadal in Madrid were clinical even after a tight schedule which saw him play 9 matches in the space of 10 days. Also Andy has come back stronger and fitter this season with final appearances at the Aus Open and also in Miami. The only major roadblock for him is his recent struggles against Novak. He has lost the last 7 matches against his Serbian rival since beating him at SW 19 almost 2 years back. The French open has been the least favoured Grand Slam event for Andy with his best performances coming in 2011 & 2014 when he made it to the SF (losing to Rafa on both occasions). With a determined approach to his game after his marriage to Kim, Andy could very well find himself lifting his third grand slam title (Fred Perry in 1936 was the last Briton to win in Paris, Bunny Austin reached the final in 1938). 5. Will Kei Nishikori and Tomas Berdych step it up at the majors? Kei Nishikori has been continuously progressing under the tutelage of former French Open Champion Michael Chang. He made his major breakthrough last year beating Novak Djokovic in the SFs of the US open before losing to Marin Cilic in the finals. Like his mentor he has proved to be an excellent clay courter winning back-to-back titles in Barcelona and consistently improving his game on the surface. With a solid defensive game along with aggressive shot making he could very well play the spoiler to Djokovic’s French open success. Tomas Berdych has made an excellent start to his season reaching the QFs of all the 9 events he has entered. With Dani Vallverdu coaching him, Tomas has been extremely consistent this season. He defeated Rafa Nadal in the QFs of the Aus Open this year, demolishing the Spaniard and ending his 17 match losing streak against him. Yet he is still looking for his first Grand Slam breakthrough and trying to achieve what Wawrinka and Cilic managed to do last season. This season could finally see him accomplish his mission. How will Nick Kyrgios fare at the French open as a seeded player for the first time? Also can Dominic Thiem be the surprise package at this year’s event? How will Simon, Monfils and Tsonga perform and will France produce its first champion since Yannick Noah in 1983 (Henri Leconte was the last French to reach the final in 1988 losing to Wilander). These are just some of the questions that will be asked as the countdown to the French Open continues. Will the big names be there when it matters most? Who will win the men’s and women’s titles in 2015? And can Novak Djokovic finally get the monkey off his back and complete his Grand Slam set?